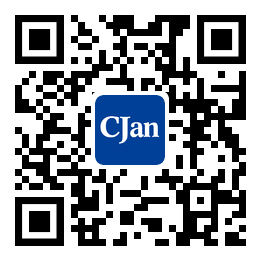 ﻿ Characteristics of Silicone Tubing - CJan Fluid Technology Co., Ltd. Compared with some organic thermoplastics, the transparency of silicone pipe is best described as "translucent". This is because silicone elastomers are made of silicone polymers and amorphous silica. Since the two materials have different refractive indices and no specific mixing method to match them, all silicone tubings are translucent. After curing, the silicone elastomer showed significant mechanical properties, including medium hardness and high fracture elongation, but the tensile strength was lower than that of Polyurethane(PU). Compared with Poly tetra fluoroethylene(PTFE), they have a sticky surface and a higher friction coefficients, but are much less rigid. They attract dust because of their hydrophobicity and excellent electrical insulators. Their working temperature range is larger than that of polyvinyl chloride (PVC). Although they are unlikely to exist in pharmaceutical processing such as fermentation or perfusion operations, there are two factors that limit the chemical resistance of silicone tubing: swelling caused by some organic solvents and chemical degradation caused by alkali or acid. The silicone tubing will be dissolved in the non-polar organic solvents of toluene. In the swelling, the weight ratio (w/w) increases by 200%, resulting in reduced mechanical properties of elastomer. The bond is not actually broken, but the elastomer is "diluted". Swelling depends on time and molecular weight, because it is controlled by diffusion. Silicone tubes with low molecular weight silicon are swelling rapidly, while high molecular weight silicones are slower.